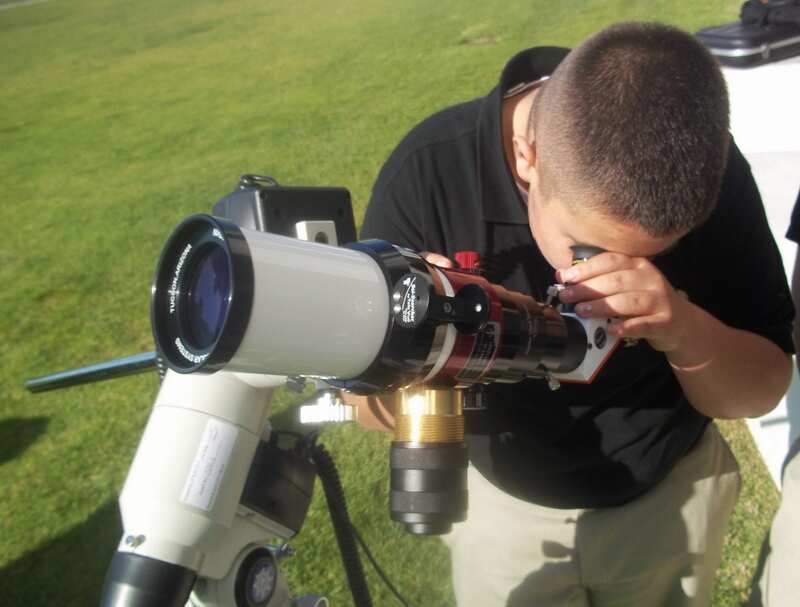 As you probably know, Army and Navy Academy is one of a very small group of high schools in California with a U.C.-approved astronomy program. Over the past year and a half, Cadets have participated in major research projects with major universities and made some amazing discoveries. Over the past several months, their astronomical work has continued to thrive. This spring, the Academy was named a branch campus of the Institute for Student Astronomical Research (InStAR), led by Dr. Russell Genet. Dr. Genet is a leader in the field who invented the first robotic telescope. InSTAR has established a unique college credit seminar program for high school students, which allows them to publish a peer-reviewed scientific paper. The Academy is one of only seven high schools and junior colleges nationwide that has been approved for participation. Since the start of the 2014-15 academic year, Cadets have written four papers that have been submitted for publication. Most recently, two teams of four Cadets each submitted papers for review. Each group selected a research area, established a plan, submitted that plan for approval, performed the research, analyzed the data, wrote two scientific papers, and submitted them for peer review. Their research was based on observations from telescopes in Australia, Spain, and New Mexico that were provided over the internet by B.R.I.E.F. The Academy is pleased to announce that the Cadets’ papers were accepted for publication by The Journal of Double Star Observations’ May 2015 issue. They will also be included in a new book being published by Collins Foundation Press. This year, Cadets have discovered three new asteroids in the asteroid belt. They’re currently being confirmed by the International Astronomical Search Collection (IASC) and are in preliminary status. The IASC is a worldwide educational outreach program for high school and college students that allows them to submit discoveries for peer review.